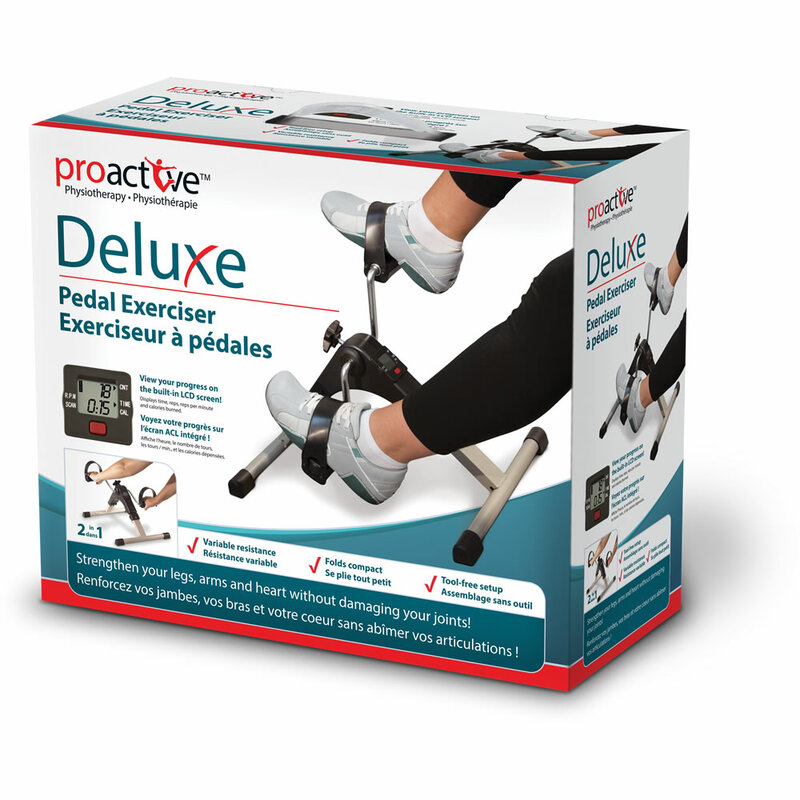 Get the benefits of a cardiovascular workout! 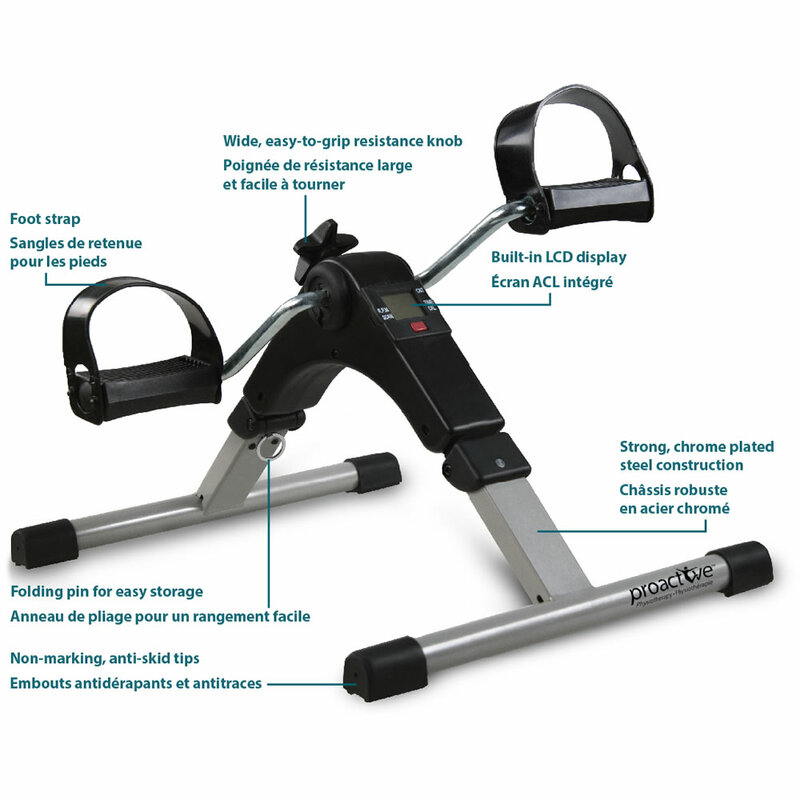 This pedal exerciser helps stimulate circulation, has a built-in LCD display, a variable resistance adjustment knob and is compact and light. 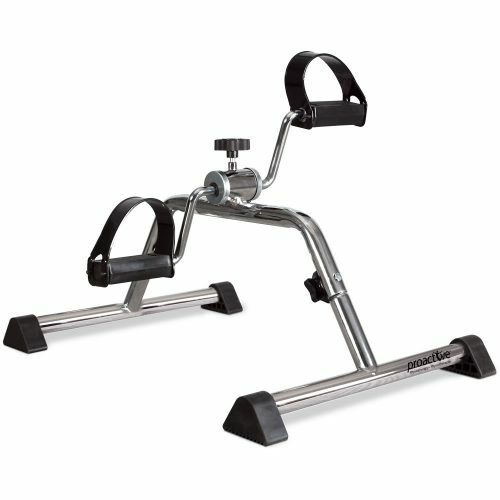 The easy and portable way to work out! 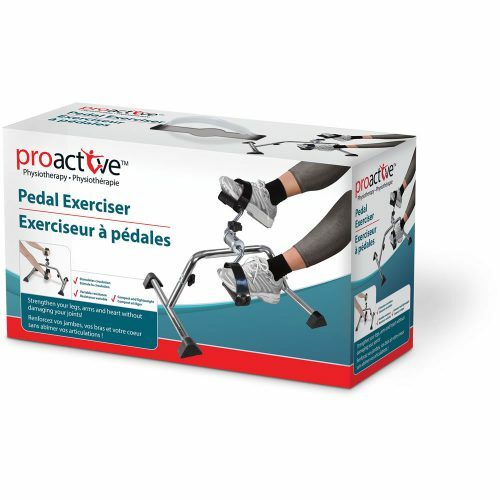 Stimulates blood circulation and increases muscle strength. 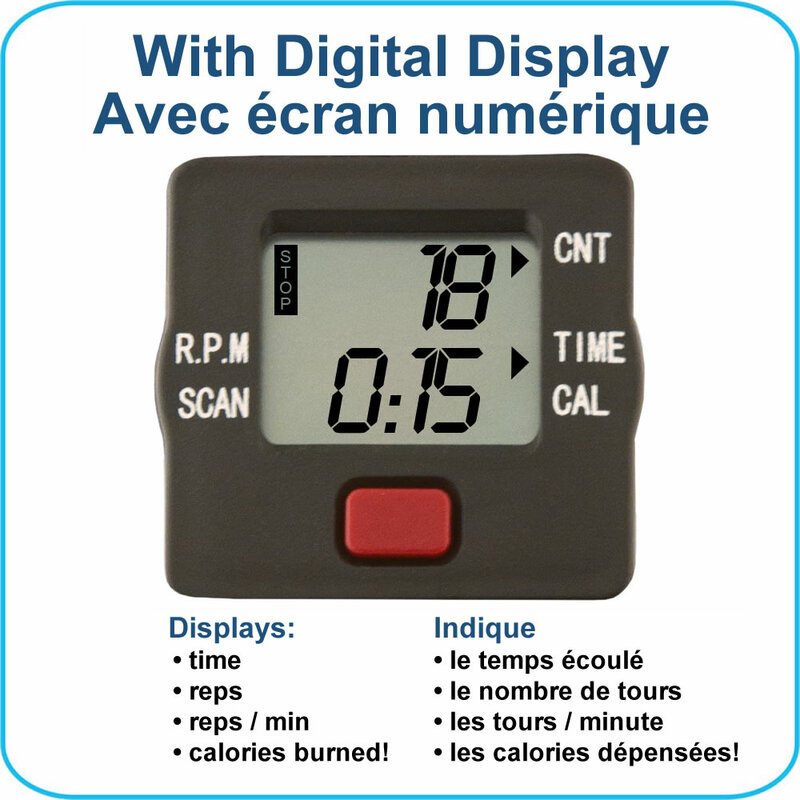 Buil-in LCD display monitors time, revolutions, reps/minute and calories burned. Folds compact – easy to store under a bed or chair. 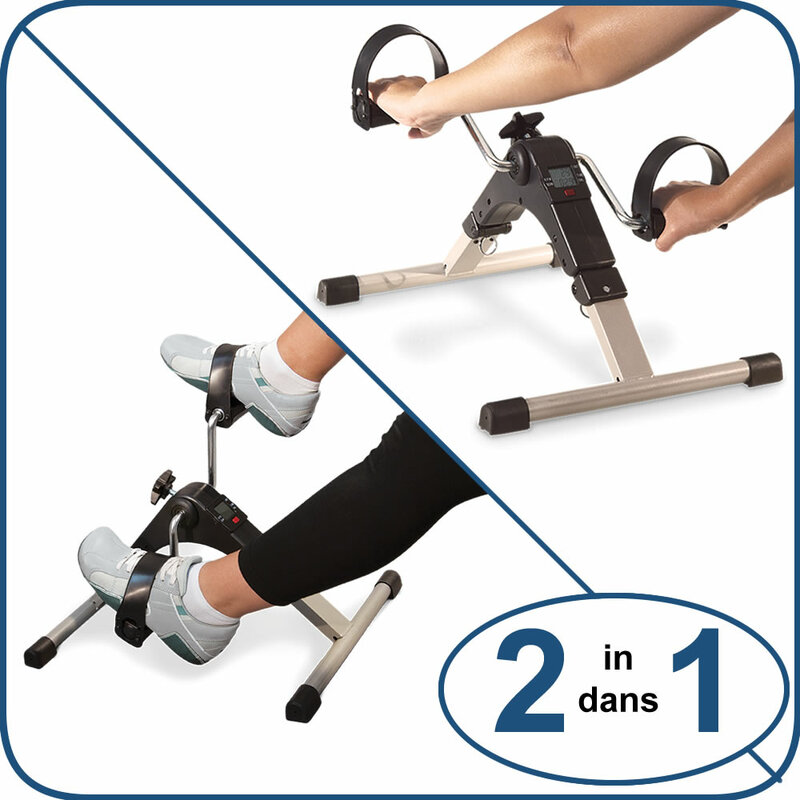 2-in-1: use to exercise your legs or your arms! 1.5V (AG13) alkaline battery included. Instruction manual for revision 4. Instruction manual for previous version.